(chemistry) The reversible insertion of a molecule between two others. Iron trifluoride (FeF3) is composed of “cost-effective and environmentally benign elements — iron and fluorine. Researchers have been interested in using chemical compounds like FeF3 in lithium-ion batteries because they offer inherently higher capacities than traditional cathode materials,” according to Brookhaven. Working at such nano levels requires high-powered equipment. Brookhaven has exotic research tools at the Center for Functional Nanomaterials (CFN), which explores the unique properties of materials and processes at the nanoscale. Brookhaven also features the National Synchrotron Light Source II (NSLS-II), a resource with “ultra-bright X-ray” equipment. 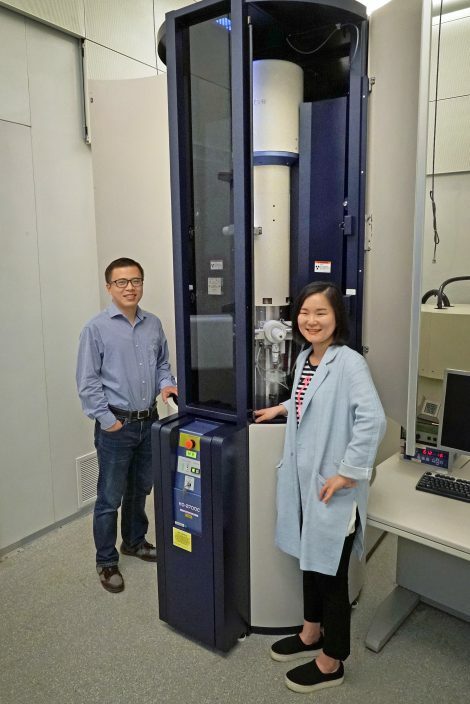 Brookhaven scientists Enyuan Hu and Sooyeon Hwang are pictured at the Center for Functional Nanomaterial’s TEM facility where the researchers viewed the cathode material at a resolution of 0.1 nanometers. Researchers used transmission electron microscopy (TEM) at CFN to look at FeF3 nanorods at a resolution of 0.1 nanometers. This enabled them, “To determine the exact size of the nanoparticles in the cathode structure and analyze how the structure changed between different phases of the charge-discharge process.” They saw a faster reaction speed for the substituted materials. 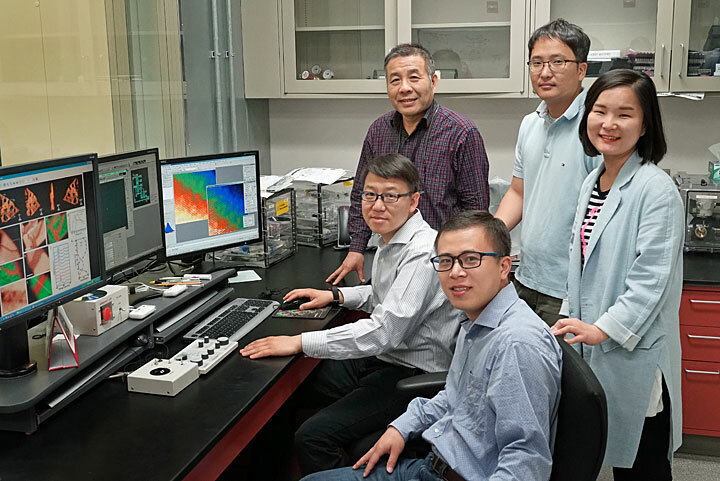 Using NSLS-II’s X-ray Powder Diffraction (XPD) beamline, and directing ultra-bright x-rays through the cathode material, researchers were able to analyze light scattering to “see” additional information about the cathode’s structure. Investments in large-scale and undoubtedly expensive equipment will probably pay off in improved research techniques and much improved future batteries.